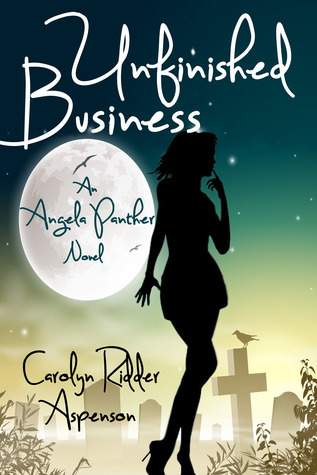 Goodreads: When Angela's mother Fran dies and comes back as a ghost, Angela's ordinary life turns into a carnival show, starring both Angela and her nosy, dead mother. Kritters Thoughts: Angela is an adult with a husband and kids and right at the beginning she loses her mom to cancer, but her mom reappears as a ghost to help her through some future situations. She realizes that she has a gift and must help other ghosts and beings finish their business, so they can leave and go to "the other side." Even though I am not a "magical" kind of reader, I loved this book. I loved how the beings were only able to talk to Angela and she had to help them finish whatever they needed to. Among helping ghosts, she also had to work on her immediate family. Angela felt like such a well rounded character. This first book definitely had a cliff ending and I couldn't believe when it ended! What a great book for those who want to dip their toes into a little bit of the unreal. I am excited to hear that there is a second book in this series soon to come!